Here is our class rule. We have one class rule that we all work hard to follow. Our goal is to have a safe, positive learning environment for everyone in our classroom. You can do anything you want in this class, as long as it does not cause a problem for anyone else or the learning environment. 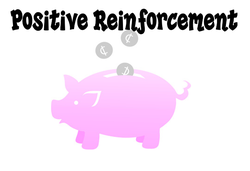 Positive reinforcement is an important component in our classroom and in our school. This year, we are implementing PBIS, Positive Behavioral Interventions and Supports. The students can work hard to earn tickets from me and from any other adult in the building. We expect students to be ready, to be respectful, and to be responsible. When we see these desired behaviors, we will give the students tickets. These tickets can be saved or spent on a variety of school wide prizes, such as pencils, certificates, name said on announcements, and fun school wide parties! Each student starts out each school day with 3 bands (hair bands). They can earn bands and get bands taken up throughout the day. The students cash in their bands for treats. If they do not have any bands at recess time, then they lose a portion of their play time. At the end of the day, if the students still have 3 bands, then they get a Skittle. If they have 4 bands, they earn a PBIS ticket. They work very hard to earn and keep their bands! 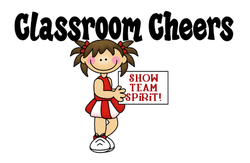 We celebrate all of our small achievements by participating in classroom cheers. These cheers encourage the students to feel great about their work and choices! Ask them to share some cheers with you! My two favorites are "Looking Good" and "The Trucker Cheer!" Treating everyone and everything in our school and in our classroom with respect is very important in our classroom of learning. I encourage this behavior. One activity that we do is create an imaginary classmate. The class decides to name our special friend. The students know how important our friend is, and if we say or do something in any way that is unkind or unfriendly, we have to tear a tiny piece off of our paper friend. The kids get very upset if we have to tear a piece. I firmly believe that this truly helps the kids understand how their words impact other people’s feelings. You should ask your child about our paper friend! We also make sure to celebrate students' group and individual achievements. One way that we do this is by incorporating table tallies. The students work as table groups or teams to earn tallies for good choices, such as helping a friend pick up markers that fell or by working hard and quietly on an assignment. The table who wins at the end of the week gets to go to the treasure box! I believe giving and receiving compliments is important in building our self-confidence and encouraging us to feel successful. In order to value the importance of compliments, we have a Compliment Jar. Whenever, our class receives a specific compliment from another adult in the school, we get a scoop of popcorn kernels that we add to our jar. Our goal is to get tons of compliments around the building, earning scoops to fill our jar. When our jar is full, we get a special treat! I always let the students decide what they want, whether it be a popcorn party, brownies, cookies, or cupcakes. The next day, we get to enjoy our extra special treat during recess time! The students love earning scoops! Ask them about it!